The surroundings of the Lido pool. 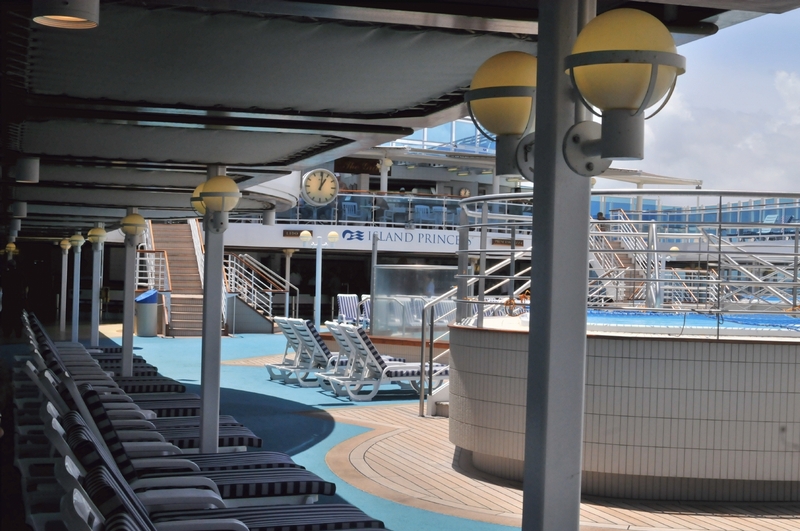 Stairs between decks, reclining chairs aplenty, and one of two hot tubs. A movie screen with many speakers overlooked the Lido pool. 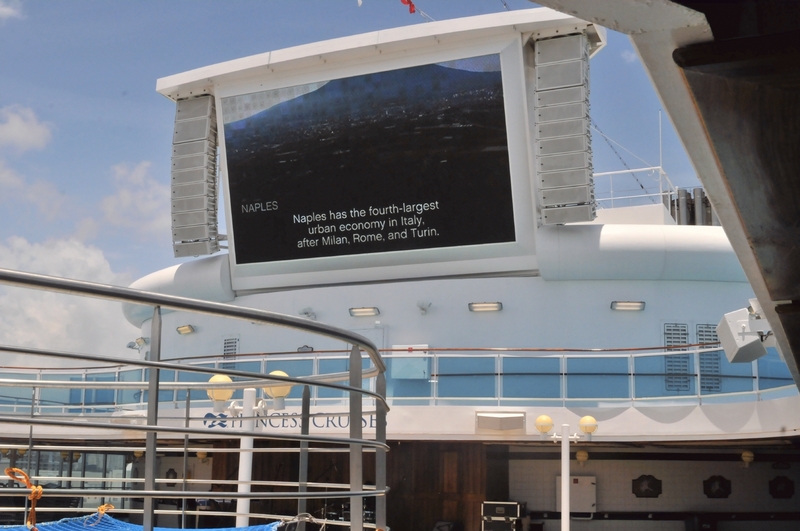 This screen presented "Movies Under The Stars" nightly. 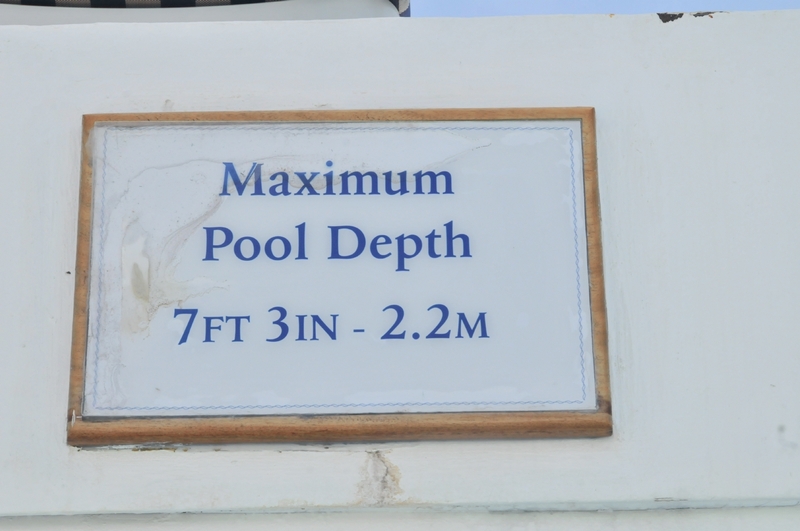 A sign specified that the "Maximum Pool Depth" was "7ft 3in - 2.2m." 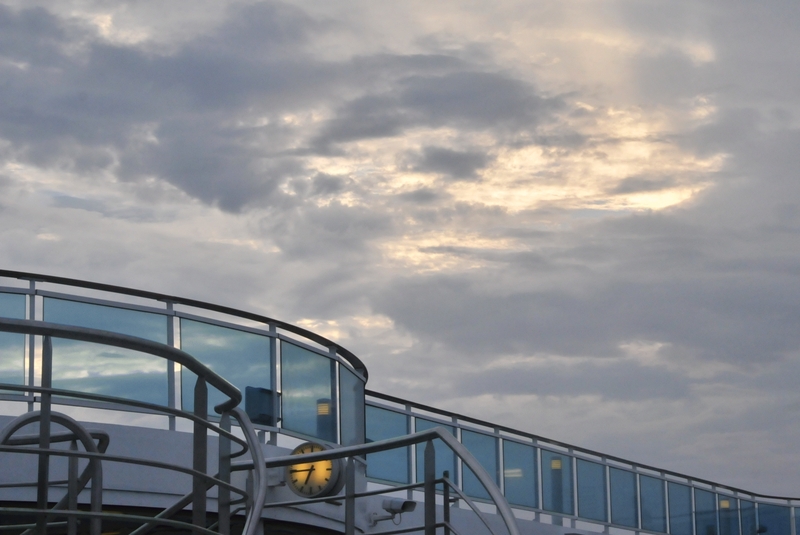 While on a trip through the Panama Canal, one fellow thought it best to work on his tan. The pool shut down at night and was covered in a safety net. 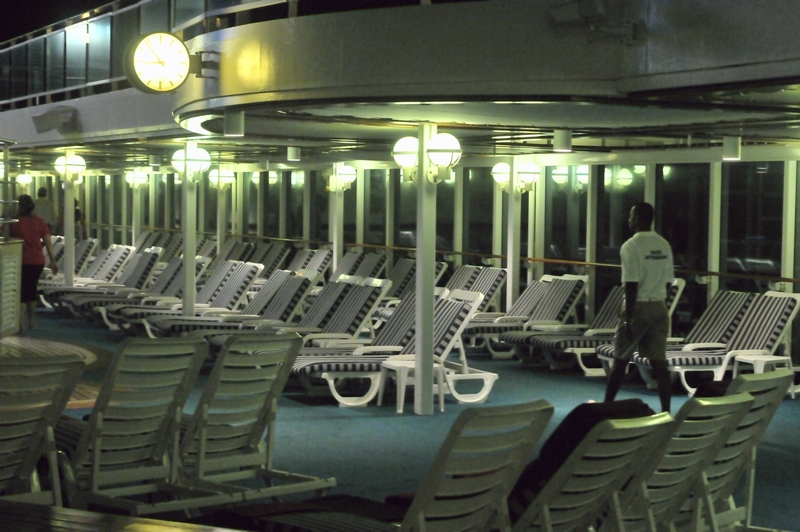 A video shows how the ship's movement effected the pool surface. Storms clouds gathered late in the day, enclosing the pool in a somber grey mood. Deck chairs laid out for the next day surrounded the Lido pool at night. 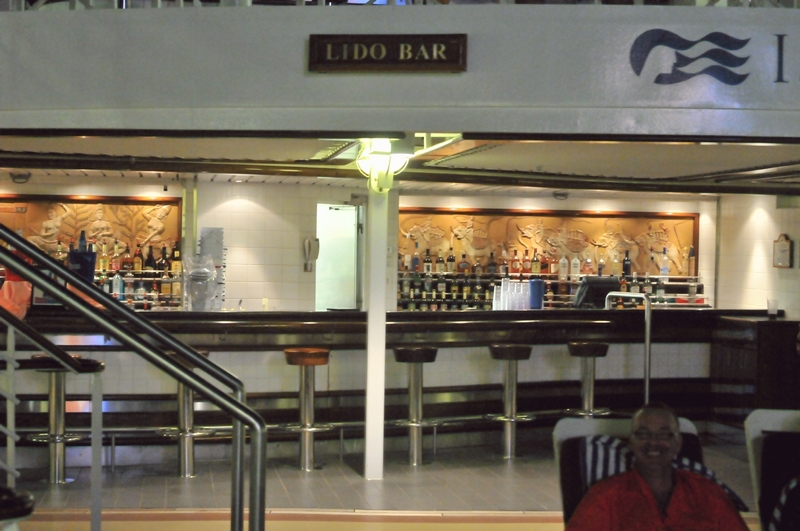 The Lido Bar sold mixed drinks to the passengers so that they could remain well lubricated during the cruise.